ElastoSens Bio I Rheolution - Rheolution Inc.
Touch screen monitor for an easy interaction with the instrument. Detachable sample-holders allowing to monitor mechanical changes of hydrogels over long time periods. Samples may be stored in an incubator between tests. Vibration based new technology to test hydrogels viscoelasticity without contact and non-destructively. Regulated thermal chamber to control temperature of hydrogels during testing. 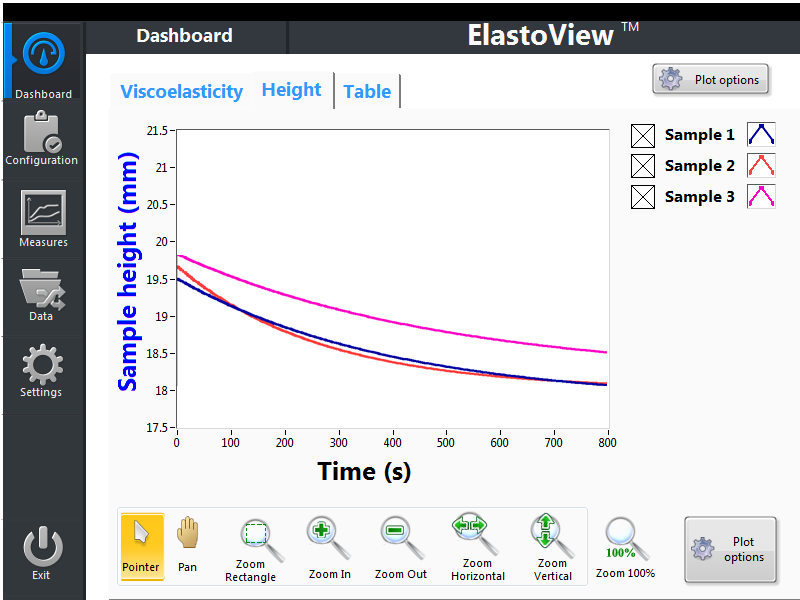 ElastoSensTM Bio2 is a unique instrument which non-destructively measures viscoelastic (complex Young modulus) properties of soft biomaterials. The instrument relies on a revolutionary technology which enables sterile and contactless mechanical monitoring of hydrogel gelation and degradation kinetics. Soft and injectable biomaterials are increasingly used in medical treatments, drug delivery and cell encapsulation for tissue engineering. These applications require rigorous investigation and testing of biomaterials. In particular, the precise evaluation of mechanical properties and elasticity is crucial for assessing compatibility and functionality of biomaterials. A major limitation of current mechanical testing methods is that measurement of hydrogels is destructive and non-sterile which makes it impossible to analyse the mechanical evolution of a single hydrogel in a sterile setting and over long periods of time. 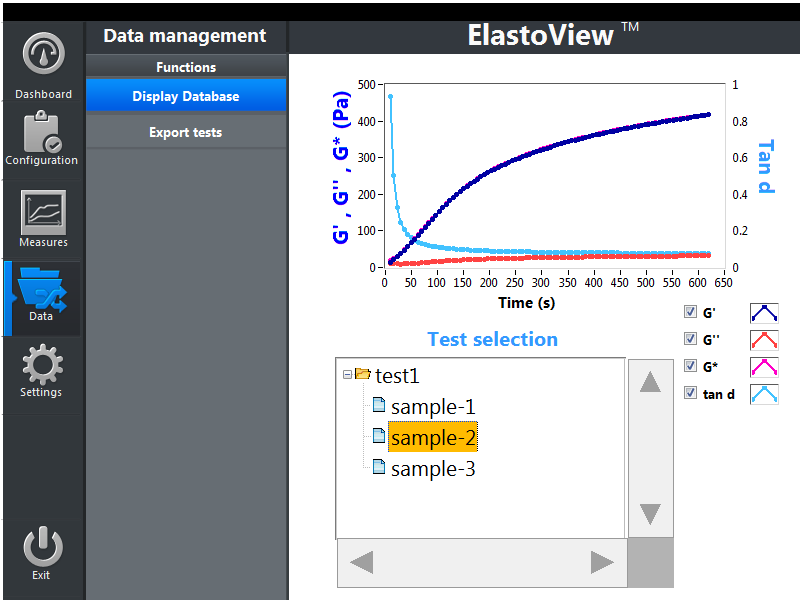 ElastoSensTM Bio2 has been designed for biologists and chemists. Its use is simple and straightforward. The use of detachable sample-holders in ElastoSensTM BIO2 allows measuring the same hydrogel sample over long periods of time to observe long-term changes. This means less material consumption, fast set-up & measurement protocols and more statistically relevant data to be analysed. 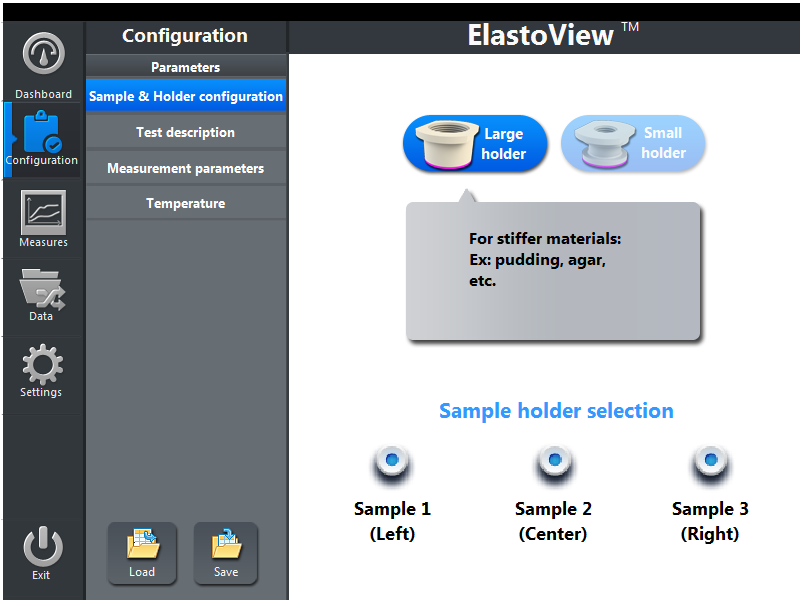 Save time and materials with ElastoSensTM Bio2. Get more relevant data on your biomaterials. ElastoSensTM Bio2 is ideal for mechanical characterization of gel formation and degradation kinetics. It’s versatility and unique technical features make it a must have for the modern pharmacology, tissue engineering and regenerative medicine lab. ElastoSens Bio - An overview of the instrument. How to Run a Test on the ElastoSens Bio? Power Requirements 110-240 VAC ± 10%, 50 – 60 Hz, consumption Max 500 W.
A 3D bioprinted hydrogel mesh loaded with all-trans retinoic acid for treatment of glioblastoma. Mirani B., Pagan E., Shojaei S., Duchscherer J., Toyota B. D., Ghavami S. and Akbari M. European Journal of Pharmacology, 2019. Smart Shear-Thinning Hydrogels as Injectable Drug Delivery Systems. Gharaie S. S., Hossein Dabiri M. S. and Akbari M. Polymers, 10(12)-1317, 2018. An injectable chitosan/chondroitin sulfate hydrogel with tunable mechanical properties for cell therapy/tissue engineering. Alinejad Y., Adoungotchodo A., Hui E., Zehtabi F. and Lerouge S. International Journal of Biological Macromolecules, 113, 2018. Validation and application of a nondestructive and contactless method for rheological evaluation of biomaterials. Ceccaldi C., Strandman S., Hui E., Montagnon E., Hadj Henni A., Schmitt C. and Lerouge S. Journal of Biomedical Materials Research Part B: Applied Biomaterials, 10.1002, 2016. New Instrument for Real-Time Monitoring of Viscoelasticity of Soft Biomaterials. Ceccaldi C., Strandman S., Nguyen L.-C., Assaad E., Hadj Henni A., Schmitt C. and Lerouge S. Canadian Society of Biomaterials, Toronto, Canada, 2015. New Instrument for Real-Time Monitoring of Viscoelasticity of Soft Biomaterials and Engineered Tissues. Ceccaldi C., Nguyen L.-C., Assaad E., Hadj Henni A., Schmitt C. and Lerouge S. Society of Biomaterials, Denver, USA, 2014. Gelation Kinetics and Real-Time Elasticity Monitoring of 3D Collagen Matrices. Bagley D., Hadj Henni A., Montagnon E., Strandman S. and Schmitt C. 10th World Biomaterials Congress (WBC), Montreal, Canada, May 17-22, 2016. . Long-term Viscoelasticity Monitoring of Enzymatic Degradation of Chitosan Scaffolds. Ceccaldi C., Strandman S., Hui E., Montagnon E., Schmitt C., Hadj Henni A. and Lerouge S. 10th World Biomaterials Congress (WBC), Montreal, Canada, May 17-22, 2016. 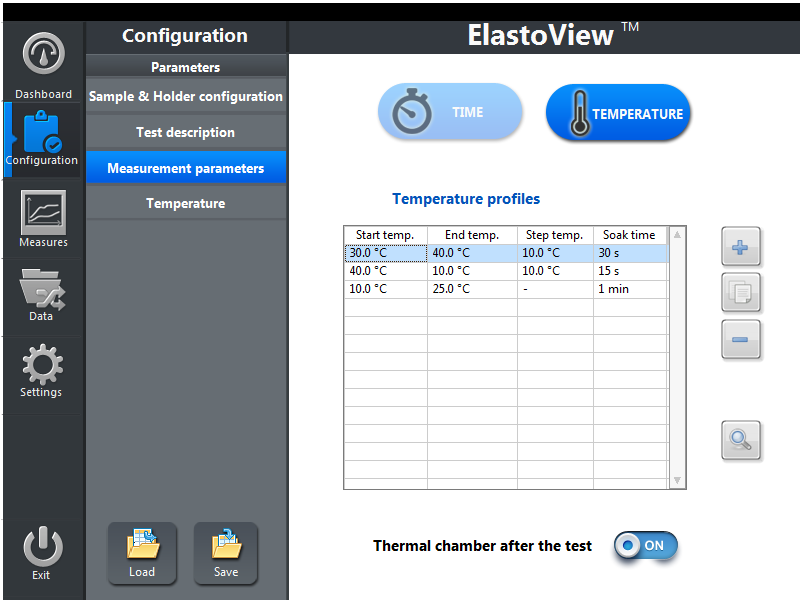 ElastoViewTM is the user-friendly and intuitive software that operates ElastoSensTM Bio2. 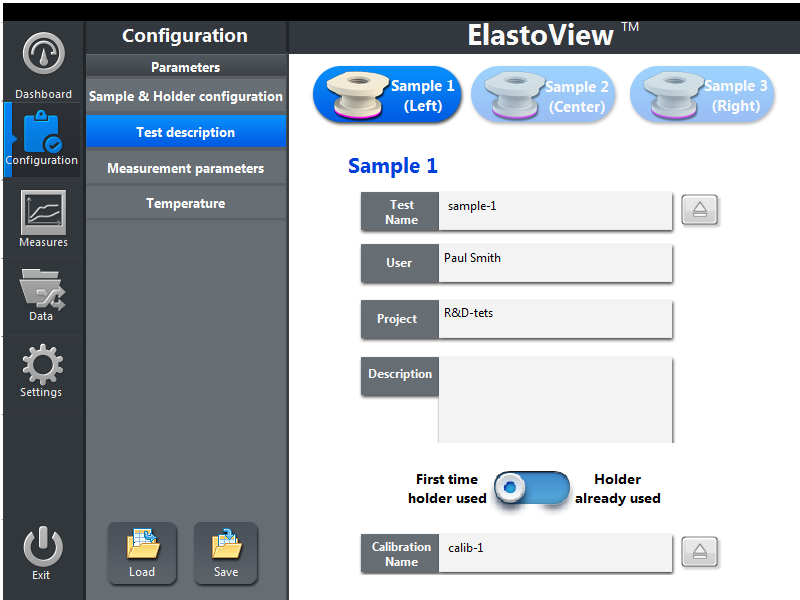 This software has been designed for biologists and chemists that are not necessarily experts in the field of rheology. 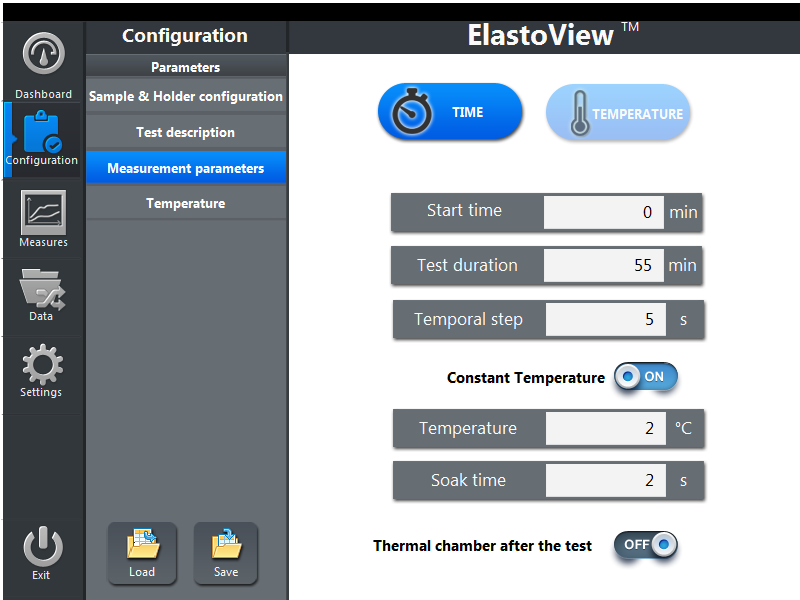 The ElastoViewTM software integrates functions allowing users to set parameters for testing of a single sample multiple times during long-term storage in an incubator. 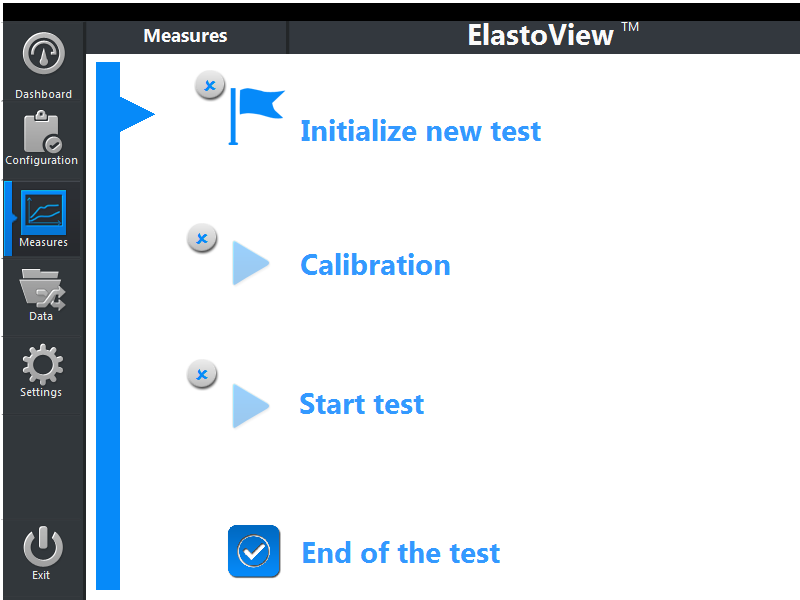 The traceability functions of ElastoViewTM make it possible to uniquely identify a sample and to load its mechanical and swelling data at every measurement point. 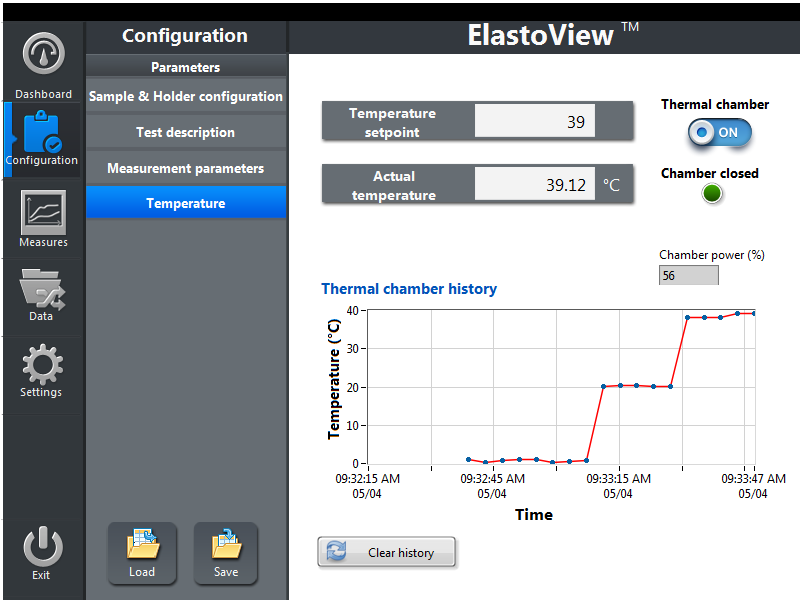 Mechanical and swelling data from ElastoViewTM can be exported in Excel format. The report includes measurement parameters and allows for users to save specific comments on project, experiment and data. 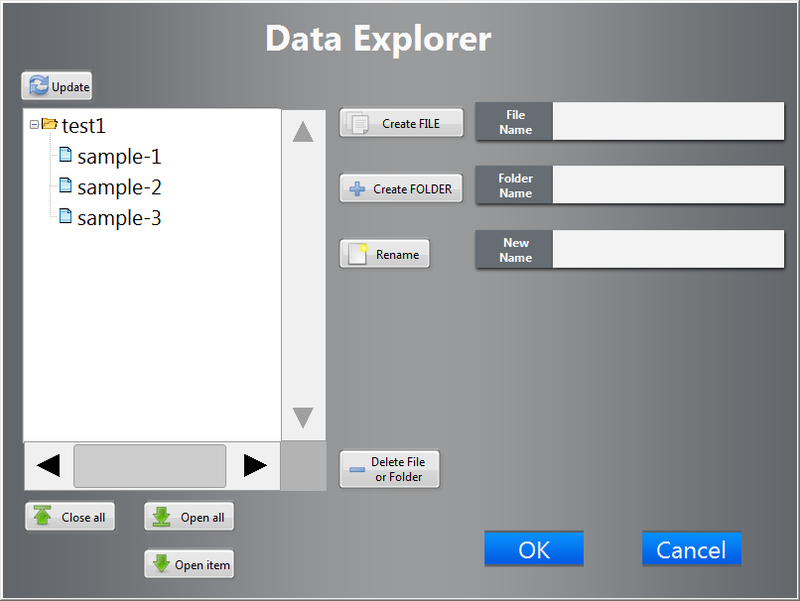 The software also stores a database of all performed experiments so users may quickly retrieve and compare archived measurements. 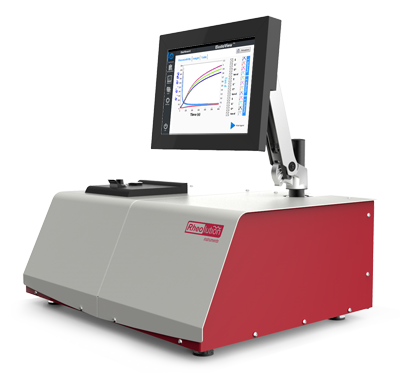 ElastoSensTM Bio2 is a mechanical testing instrument that enables contactless and non-destructive analysis of the Young viscoelastic modulus as a function of time or temperature. Measurements may be made during fast (few minutes) or slow (few days) gelation/degradation kinetics on a single and unique sample contained into a detachable sample holder. As opposed to rheometry and indentation technologies, ElastoSens Bio2 uses vibrations to non-destructively measure viscoelasticity without any contact. ​The patented technological principle behind ElastoSensTM Bio2 is purely mechanical. A small amount of gel is poured (in its initial liquid state) into a cylindrical disposable cuvette having a flexible bottom membrane. A small and gentle vibration of only a few micrometers is applied to the sample triggering a slight perturbation in the sample creating a response signal. This response signal is measured without contact by a laser probe. The sample’s response is processed using specialized models to obtain the storage and loss parts of the gel’s Young modulus. This process is continuously repeated depending on the number of measurements, time and temperature steps, which are selected by the user. Physically, once the sample is poured into the detachable sample holder, the material and the flexible membrane form a composite and soft body able to react to external vibrations. This is made possible by the nature of the membrane that is mechanically flexible. When a test is started, a low frequency-amplitude vibration is transmitted to the sample holder firmly attached to the vibrating unit. The composite body formed by the sample-membrane system freely vibrates in response to this dynamic excitation. The only unknown variable in the system, the viscoelasticity, can be deduced since all other parameters are known. The composite body’s vibrational response to the stimulus are affected by the material’s viscoelasticity, a physics which is exploited by ElastoSensTM Bio2 to measure the sample’s during a phase changing kinetics or at a steady physical state.